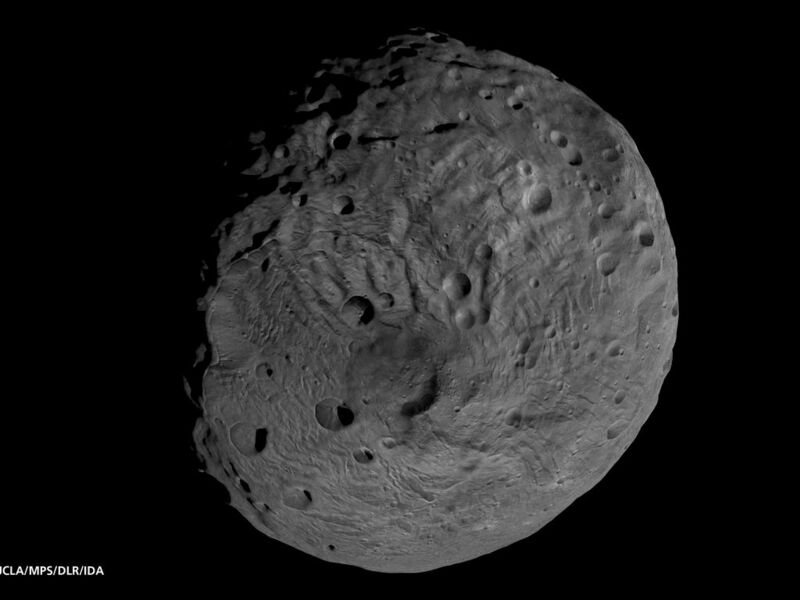 Scientists are discussing whether the circular structure that covers most of this image originated by a collision with another asteroid, or by internal processes early in the asteroid's history. 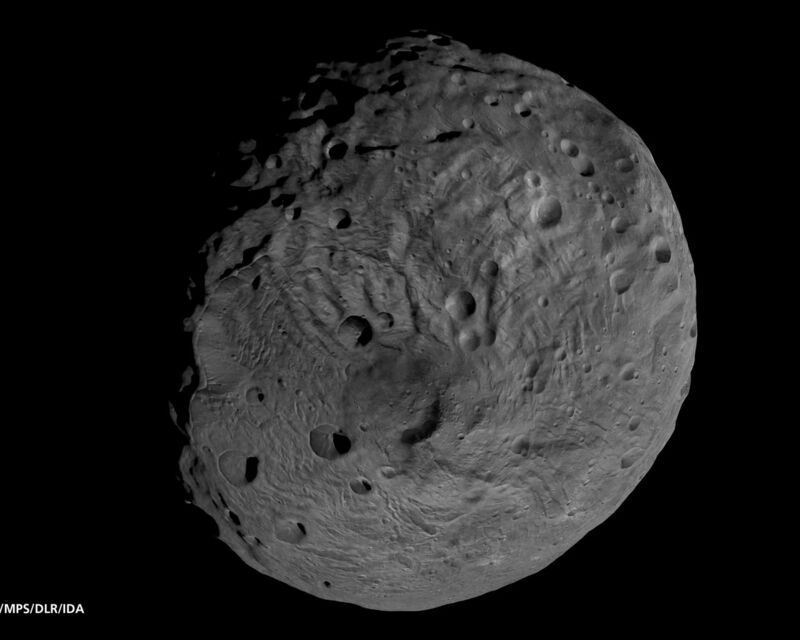 Images in higher resolution from Dawn's lowered orbit might help answer that question. 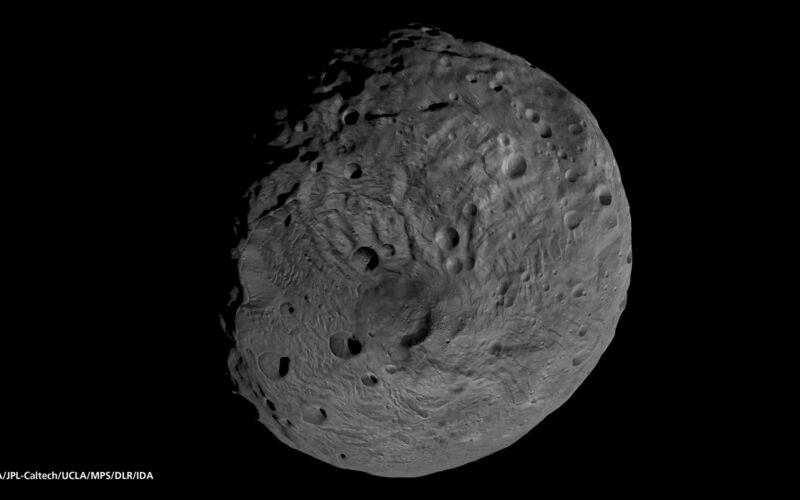 The image was recorded with the framing camera aboard NASA's Dawn spacecraft from a distance of about 1,700 miles (2,700 kilometers). The image resolution is about 260 meters per pixel.